Seafield Cemetery was opened in 1887 to serve the residents of Leith. Over the years, we have continually adapted to suit changing demands, whilst always aiming to maintained traditional values. We still dig our graves by hand and our attendants wear morning suits while carrying out their burial duties. If a you wish to erect a headstone or other memorial on the lair, you should submit an application giving full details of the proposed memorial for prior approval. 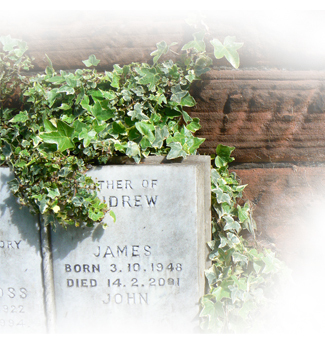 Certain restrictions do apply including the size and how the memorial is fitted. The company makes a charge for the erection of any memorial, which covers the resultant increase in ground maintenance, the preparation of any foundation, and all subsequent safety inspections of the memorial.